AV Installs Custom Home Audio Installation service is a tailored made service which fits around our customers requirements. 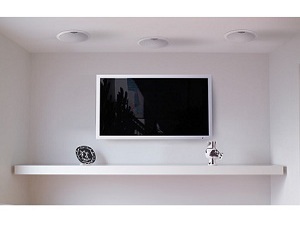 From in wall and in ceiling surround sound installations to multi room audio installation. AV Installs is able to design and deliver easy to use custom home audio systems and integrate them with your existing home cinema equipment. Our own in house audio visual engineers are there to help customers in the design stage by offering technical and product expertise where required. Multi Room Audio is a popular choice being able to listen to music from your PC, internet or phone anywhere in the home is a little luxury. There are many wireless and wired solutions on the market dependant on customers requirements in most cases a wired solution will always be more reliable. AV Installs is here to help customers find a solution that works for them and provide a professional installation service. Initially one of our team will complete a telephone survey to discuss the project and provide an indication of what equipment and installation costs will be. Once a solution is agreed one of our engineers will book an appointment to come and survey the installation and provide any assistance with technical or design issues. Further to a successful consultation AV Installs will provide a full written quotation for your approval detailing all equipment and installation costs.